We develop GREAT LEADERS of GREAT TEAMS™ throughout organizations. We help ORDINARY PEOPLE accomplish EXTRAORDINARY THINGS. And we MAKE IT FUN every step of the way. Our calling is to help you achieve greatness and live the life of significance you desire – as an individual, team and/or organization. We’re what consultants & coaches were always supposed to be: leading expert practitioners who are trusted advisors and mentors by nature, not merely by title. We focus on helping you improve how you lead, position, grow and engage your people to optimize the performance and value of your organization. After you’ve helped explain ‘employee engagement’ to the Gallup organization and taught Marcus Buckingham how to ‘break all the rules’ and play to your strengths (yes, Marcus wrote the books) as one of what Gallup later called, “The World’s Greatest Managers”…what do you do next? Well, if you’re Dale, you accept an offer to partner with John C. Maxwell the world’s #1 authority on leadership and personal growth; thus quietly, but very intentionally, unifying and integrating the 3 drivers of extraordinary team and organizational performance. You’ll quickly appreciate Dale’s comfortable, casual, and often humorous, mentoring style. You see, his goal isn’t to impress you with a larger than life ‘stage presence’, prove how smart he is, or acquire a huge global fan base. Instead he simply seeks to come along side everyday business leaders and help them become the Great Leaders of Great Teams™ they have the potential to become, so they can get the extraordinary results they truly desire. Hence, Dale’s personal life mission of helping ordinary people accomplish extraordinary things. Dale is also a founding partner with John, in the John Maxwell Team – an international team of master leadership & professional development coaches; a Master Human Capital Strategist with the Human Capital Institute; and the creator of the Real World Superhero Academy – the Professional Coaching Adventure of a Lifetime™ where he uses a masterful combination of cutting-edge science and creative imagination to help ordinary people accomplish extraordinary things (and feel like they’re living the life-story of a real world superhero!). To see more of Dale’s work visit our Free Insights page or connect on LinkedIn. Vice President Business Development & Client Success – Expertise: Naturally gifted at quickly building trusting, influential, and highly-valuable relationships and obsessed with ensuring her clients always enjoy an unforgettable life-enriching experience. Anna cares about people and lives to help them, however she can, at the most defining moments in their life’s journey. And she’s learned that everything, in business and in life, rises and falls on leadership. She’s quick to laugh, and her warmhearted approach makes everyone she meets feel comfortable and at ease. With her 15+ years of experience including being an influential leader in the fortune 500 environment (sales, training and team development), she understands the value and critical difference that leadership & employee development brings to an organization’s employees, performance, growth and overall prosperity. Having worked with hundreds of companies, Anna understands the complexities of high-growth businesses and how important it is to the client to have a clearly-defined, smooth and easy process. Knowing that every individual and organization is unique, Anna makes sure that each and every client gets customized and personal value from a program that addresses their most important performance issues and answers their most challenging leadership questions. Because of her enthusiasm to develop the deepest most valuable client experience, she’ll walk with each client from beginning to end and help manage every step of the development and growth process. 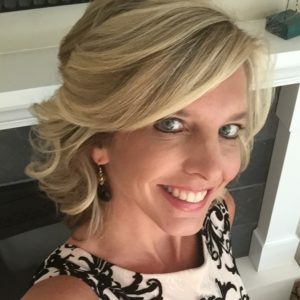 Anna has also lived the challenging, fast-paced, and demanding life of a small business owner and can empathize with daily desire for help knowing where and how to best invest your limited time and resources to maximize your return. Her caring, genuine and compassionate personality perfectly matches her desire to walk each of these clients through the most impactful progression of programs in a very simple and easy to understand format. Anna’s greatest passion is helping business owners and senior leadership teams increase their prosperity, productivity and the well-being of each member on their organization. David has an uncanny ability to see and develop the potential of people and teams. He quietly serves to coach, encourage, and achieve greatness by facilitating collective thinking, overcoming conflicts, and building pathways to personal and professional growth. He is a caring and genuine bridge builder and has a serving leadership style. David has extensive leadership experience in a diverse set of consulting environments including corporate turnarounds and restructurings; organizational design and performance; strategy; and information technology adaptation and roll-out. 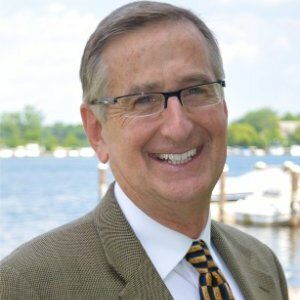 Though David began his career as a computer scientist at IBM and Computer Sciences Corporation, his passion has lead him to take on the unique challenges facing business management and ownership related to the development of highly productive leadership teams. David’s caring and compassionate leadership style, superb communication skills, and gifts as a strategic thinker have helped David develop an reputation for helping clients think well together when dealing with changing new realities, considering opportunities, and addressing challenges affecting their business. While at Scouler & Company he was the lead advisor and client executive manager for 10 restructuring engagements, several of which received national awards. In addition David served as Chief Technology advisor and held interim CIO responsibilities. At a fast growing church he served as Chief-of-Staff for 50 ministry professionals and developed overall strategic direction and the organizational model to support the high-growth and dynamic environment. At a regional Information Technology consulting company David was responsible to design and build a Supply Chain Management Practice. Similarly at a national technology consulting firm , managed the local office and had responsible for the P&L, business development and management of 20 professionals. 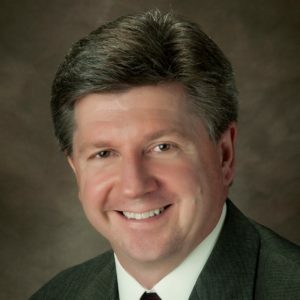 During his 14 years at Computer Sciences Corporation David began as a Senior Consultant in the Financial Services Practice in Boston and became a Partner with responsibility for business development and client engagement delivery. Subsequently he moved to Minneapolis to lead the Diversified Industries Practice with primary responsibility for business development, client relationship management as well as P&L accountability.